As usual, new releases are scarce during the summer, but thanks to the movie industry, we can still count on licenced titles like Cars 3. 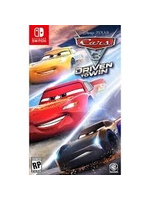 Developed by Avalanche Software (the team behind the Disney Infinity series and Cars 2: The Video Game), Cars 3: Driven to Win is above all destined to kids, though the normal and hard settings offer are bound to give older players a hard time. Check out our Nintendo Switch videos and our verdict inside. 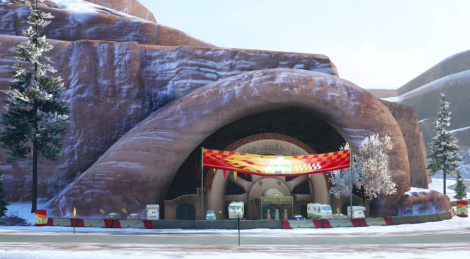 As long as you don't want to be blown away by the visuals, and provided you don't expect Cars 3 to best references like Mario Kart or Sonic & All-Stars Racing Transformed, there's enough fun here to share with your kids. Clearly more challenging than the second game on PS3, Xbox 360 and PC, this third installment is also deeper than you might think when it comes to gameplay mechanics. That being said, unless you have children and they are fans of the franchise, Cars 3 is far from being a must-have for this summer, whatever the console you own. A decent title, but that's about it.